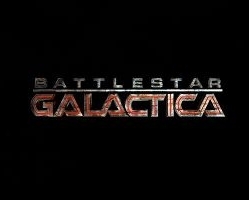 While it might seem a little strange given the ratings struggles of spin-off Caprica, the remake of Battlestar Galactica continues to get more and more popular as more and more fans discover it. Some people (me) didn’t catch the show during its original run and refused to hop on board the bandwagon, only to become interested in the program after it was over. To capture these new fans and to cater to the old, NBC Universal has teamed with independent game studio Artplant to launch a Battlestar Galactica MMO. The game will be developed using Unity, a proprietary technology used in existing EA browser-based games like Tiger Woods PGA Tour Online. The game will be in 3D and should run in browsers, if things continue to shake out like they are now. You can either be human or cylon, and the game will include both elements of space combat and mission-based gameplay. Color me excited to get behind the wheel of the Galactica and the rest of the Colonial fleet.